BOUGAINVILLE Regional MP Joe Lera has been somewhat of a spectator in his own constituency since he was elected to Parliament in 2012. In normal circumstances, Lera would have been the provincial governor and taken a leading role in Bougainville’s development restoration and preparations for the 2020 referendum to determine its political future. 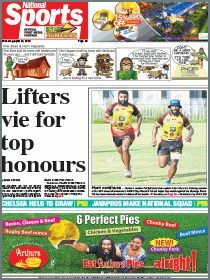 Due to Bougainville’s status as an autonomous region headed by John Momis as the president, Lera has had to take the backseat for most of his parliamentary term until last Friday when he was appointed Bougainville Affairs Minister in the O’Neill Cabinet. Lera had previously expressed his interest in the ministry but was beaten to it by his Bougainvillean colleague MP, the late Steven Pirika Kamma, who passed away recently to allow him this window of opportunity. While his ministerial term will only last 15 months to the general elections next year, Lera still views his new role as a huge challenge. “The ministry is very difficult and complex because that role will be challenging. But because my experience and expertise and having been key consented leader all these time, I think I know the issues and the challenges and I will try to do the best I can in this ministry in line with the National Government policies,” Lera said after taking the oath of office at Government House. We agree with Public Enterprises and State Investments Minister William Duma that Lera’s appointment demonstrates the O’Neill Government’s commitment to ensuring that Bougainville’s restoration development programme and preparations for the referendum proceed as planned and without unnecessary delays. “On behalf of the various coalition partners in your Government, I must commend you, Prime Minister, for making strategic decisions. I think you have chosen key people who will add value to the Government and will also assist you to run this country. As minister, Lera is fully aware Bougainville’s political destiny is something that cannot be arrived at merely by a strong desire for autonomy and self-determination devoid of any evidence of fiscal self-reliance and lasting peace. Both the Autonomous Bougainville Government (ABG) and the National Government need to convince themselves on certain indicators of the island’s preparedness to call forth the referendum. These include three basic prerequisites: a convincingly successful weapons disposal programme; good governance (this should include the operations of the regional, district and local level governments); and a satisfactory level of fiscal self-reliance. The weapons disposal programme, under the supervision of the UN Observer Mission, has been completed albeit with some claims of illegal weapons still at large. The Bougainville Constitution and the establishment of the autonomous government had established district and local level administrative structures which are in operation but still need more work to achieve good governance satisfactory to both parties of the peace agreement. 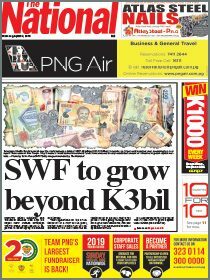 The question of fiscal self-reliance cannot be discussed without mining and specifically the closed-down Panguna mine although some maintain that Bougainville’s agriculture sector can achieve for it a degree of self-sufficiency. If given the needed financial and technical support, the island’s cocoa industry in particular can bring in the desperately needed revenue. Hence, much work remains to be done before the referendum takes place. And even more work is needed if Bougainville so chooses to become independent. For now the National Government and ABG will have to work towards an agreed date to hold the referendum with a checklist in hand to take away items of progress along the way. It is indeed a lot of work, especially from Bougainville’s perspective. Although Bougainville’s leaders, especially President Momis, have expressed disappointment over the rather slow progress in preparations for the referendum, the ABG has been generally pleased with the efforts so far. It is imperative that Bougainville and PNG are well prepared for the watershed event.